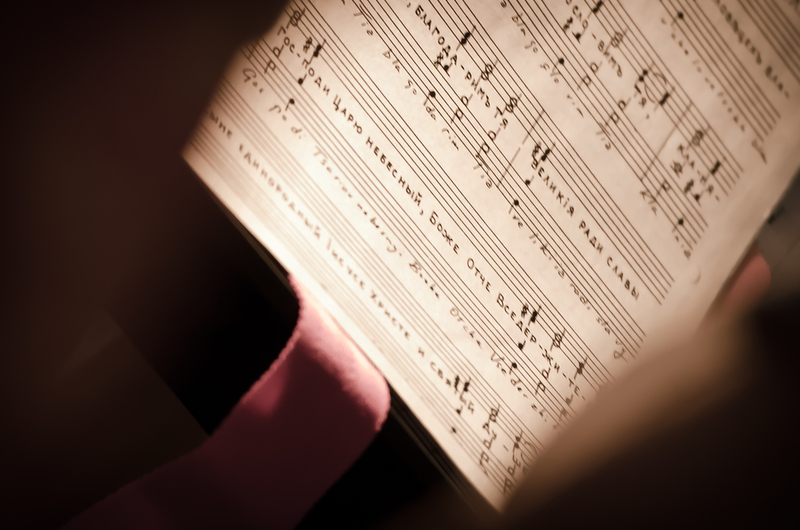 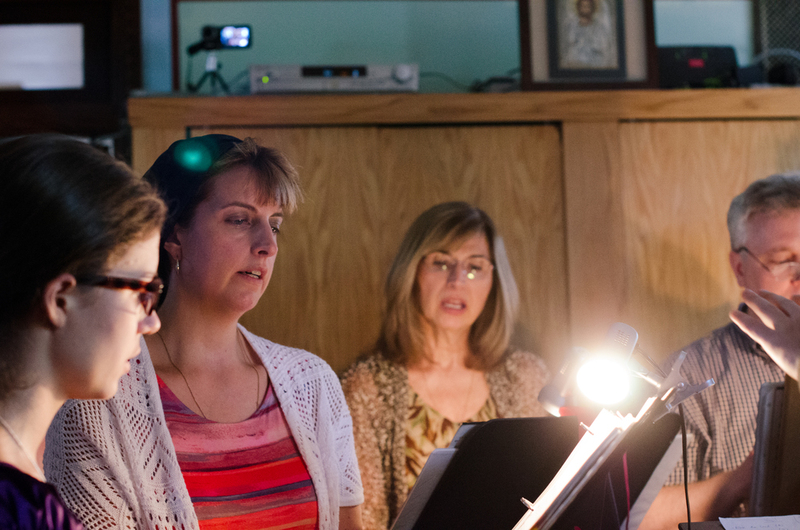 The choir sang beautifully under the direction of Dr. Roman Vershynin. 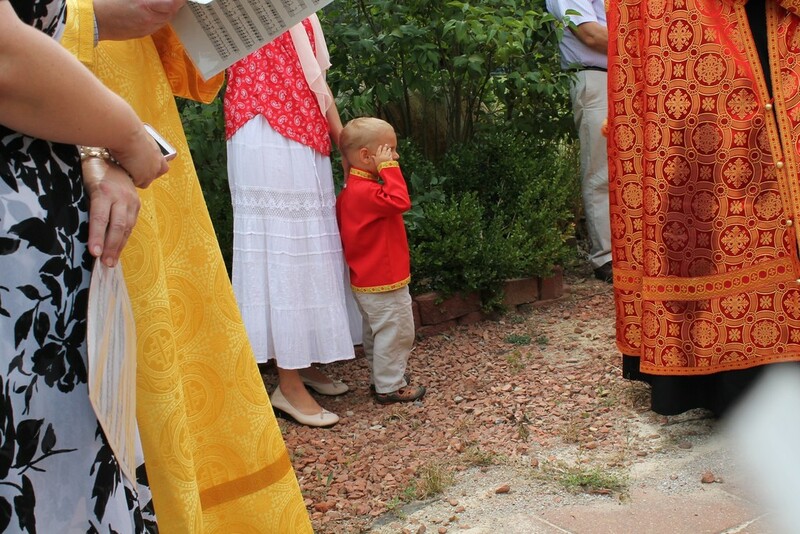 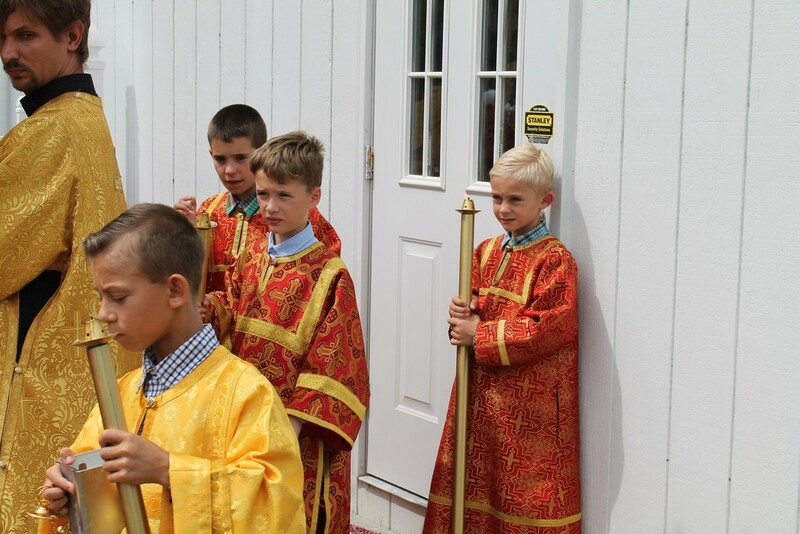 A multitude (one of the visiting priests termed it an "army") of minor clerics and altar servers also participated in the Divine Services this night and the next morning. 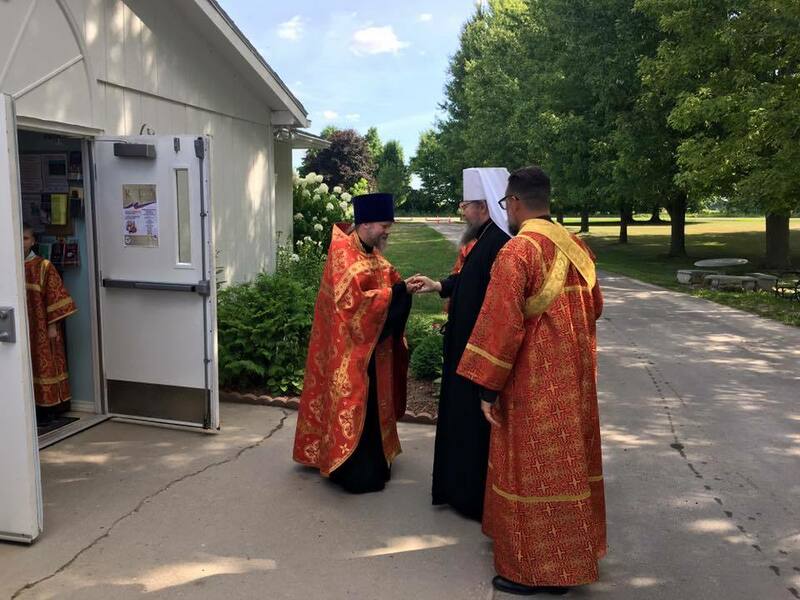 A parish had been formed in the 1950s in Ann Arbor in honor of Venerable Hilarion the Great, but when the assigned priest died the parish had to be closed as no replacement was available. 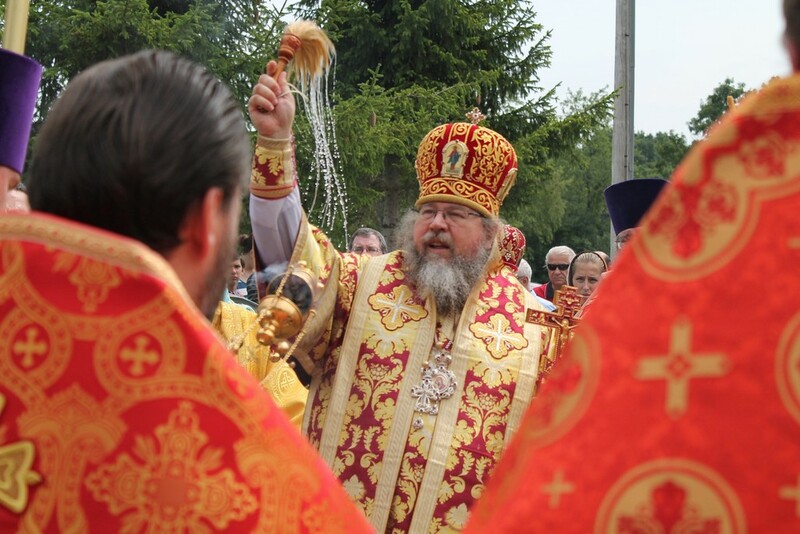 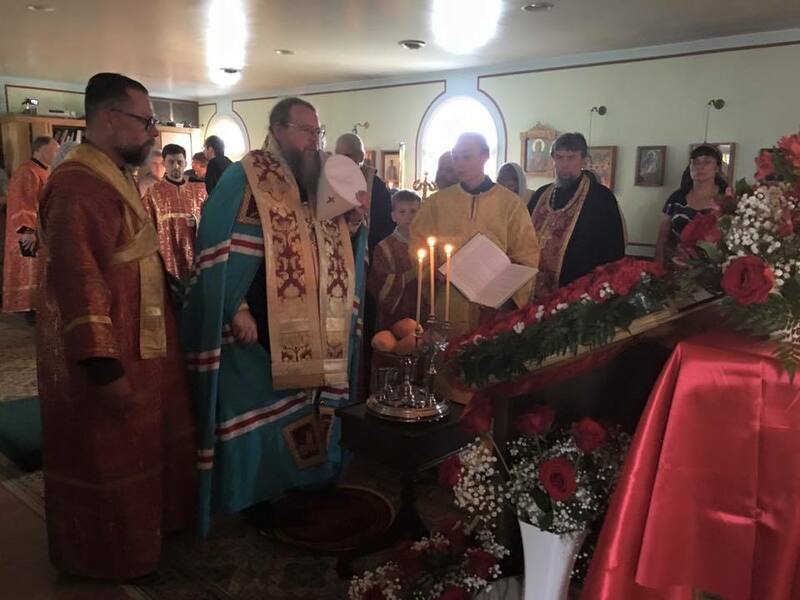 In the 1980s, as the Orthodox world began to prepare for the 1000th anniversary of the Baptism of Rus, the remnants of that original parish, as well as some new arrivals in Ann Arbor, decided to found a new parish with the blessing of Archbishop Alypy of Chicago & Detroit. 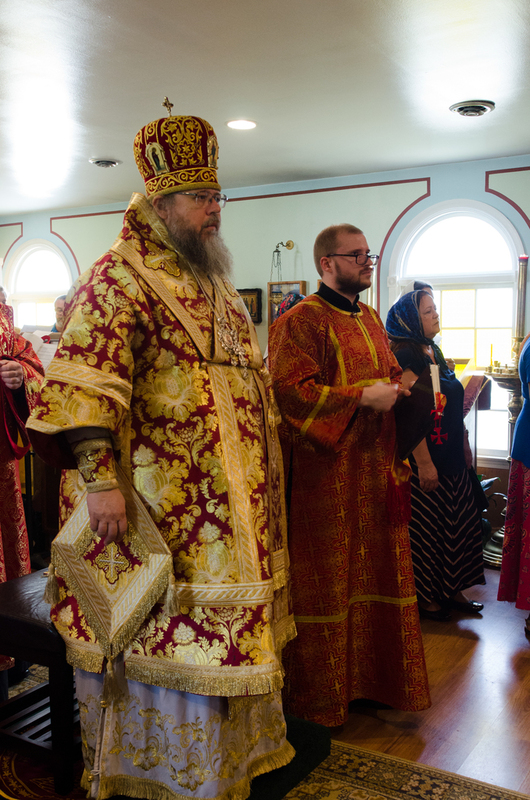 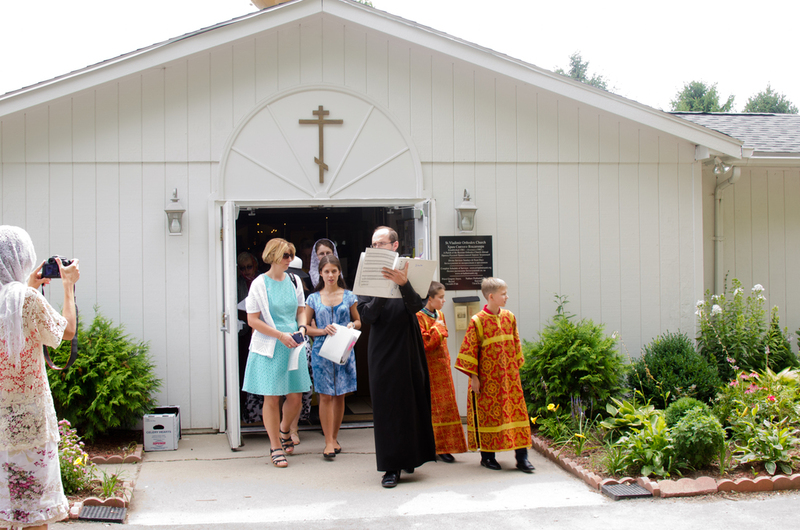 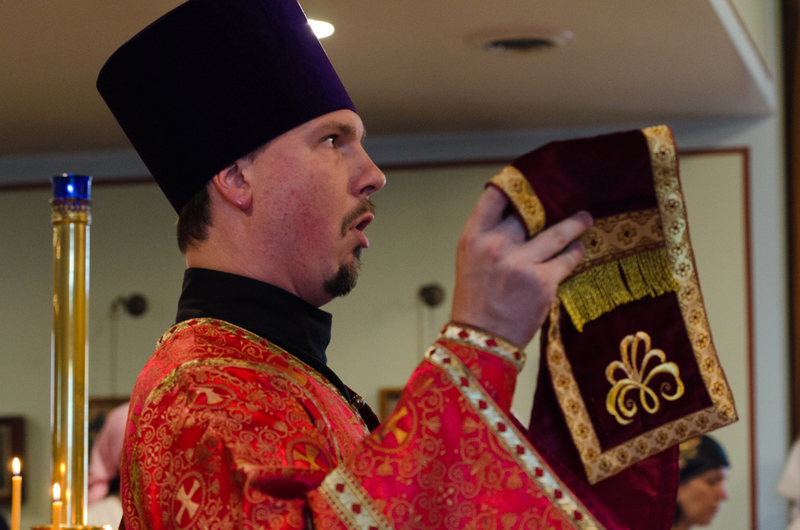 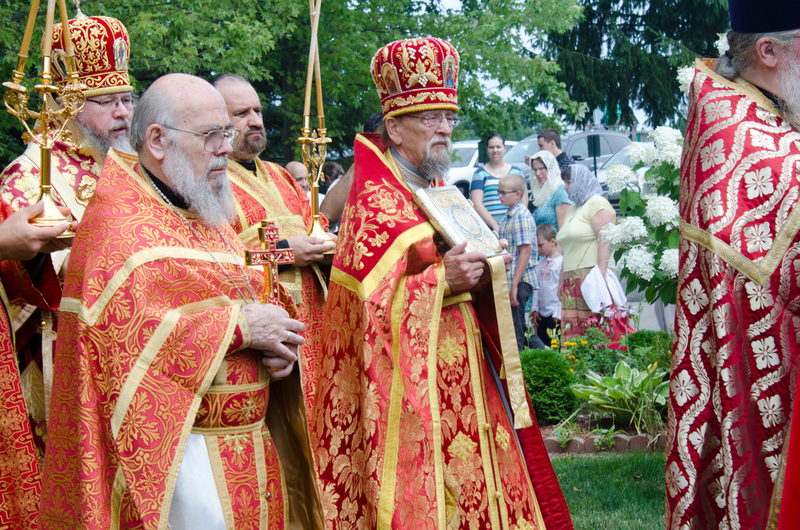 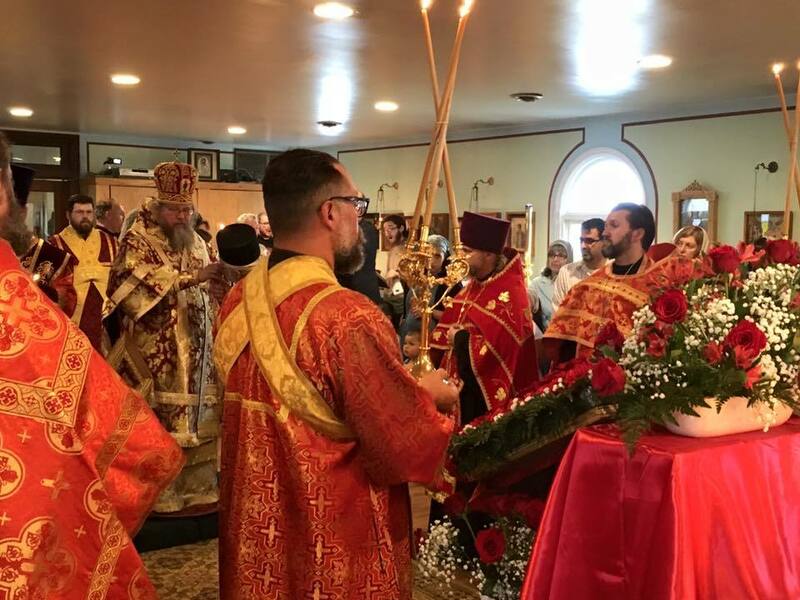 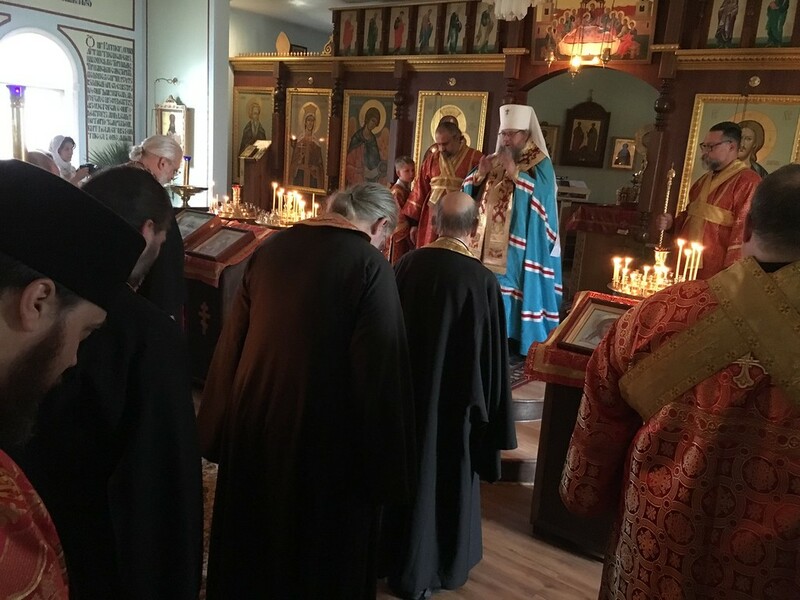 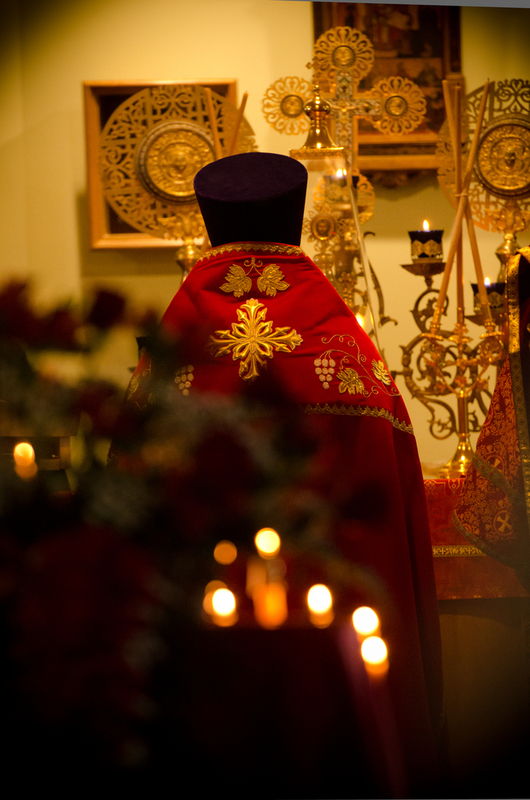 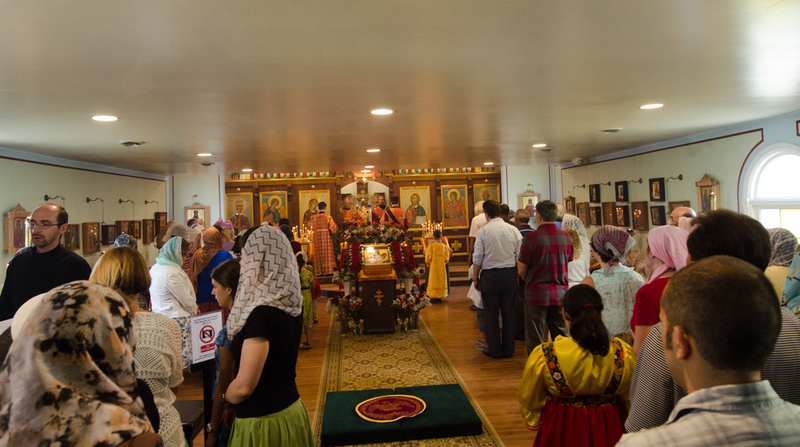 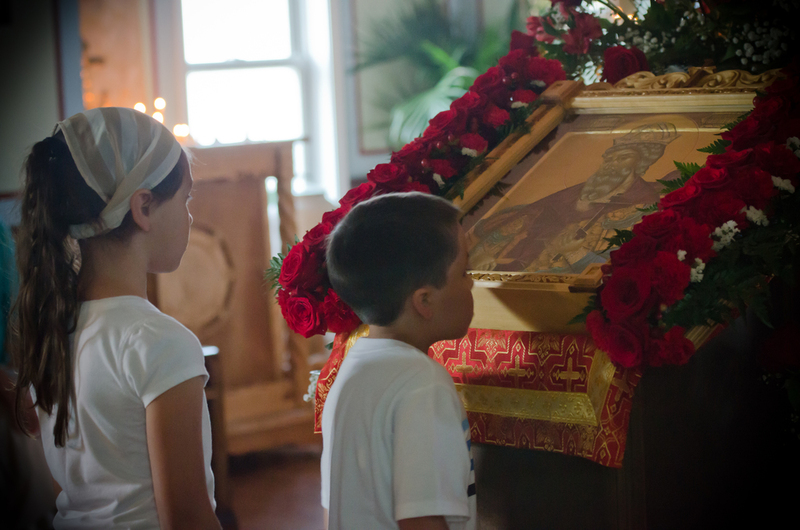 This parish, which stared with 9 souls serving the Divine Liturgy every other Saturday in the basement of one of the local Roman Catholic parishes, is that same parish which celebrates its 35th anniversary this year. 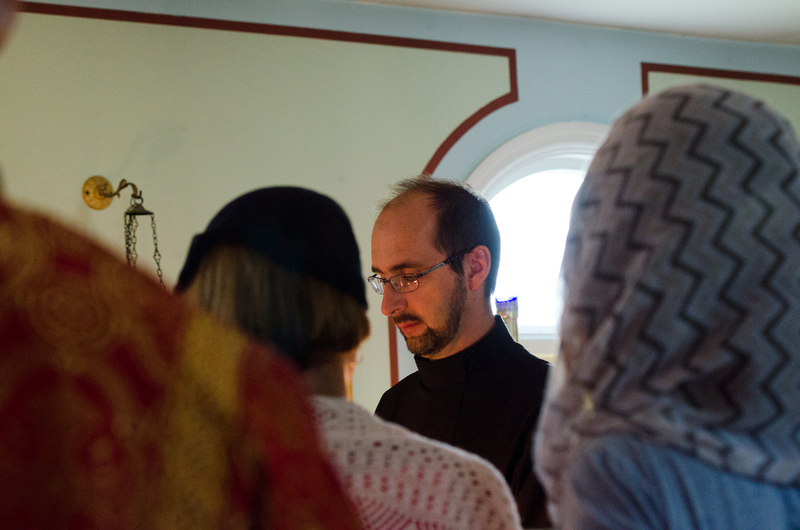 The parish's St. Ksenia Sisterhood and St. John Brotherhood provided a lunch for all those present. 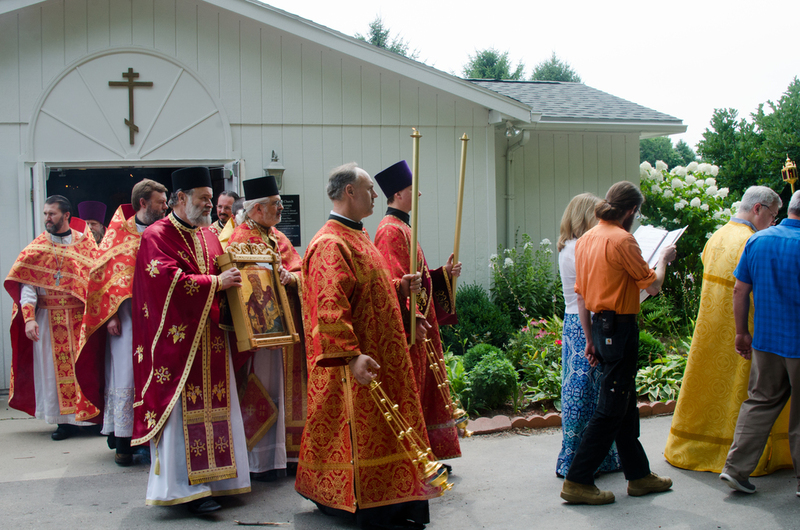 Because of the size of the crowd the meal was held under a tent on the field that, God willing, will in the near future house the parish's new church, social center, and day school. 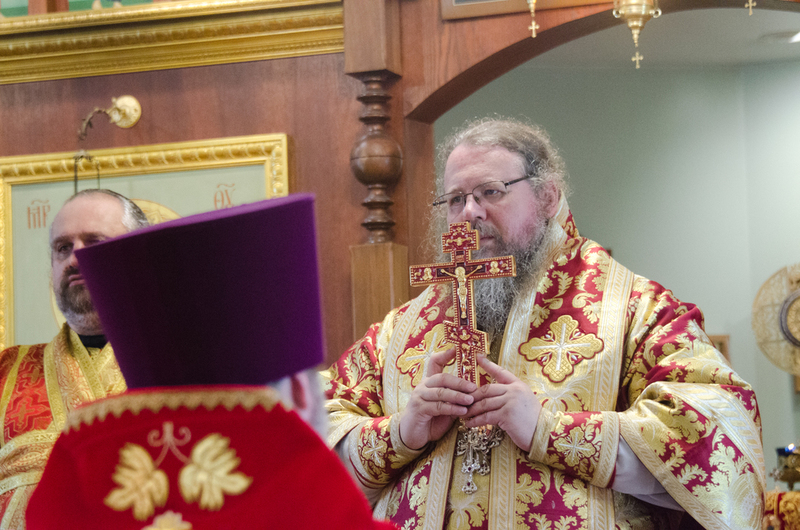 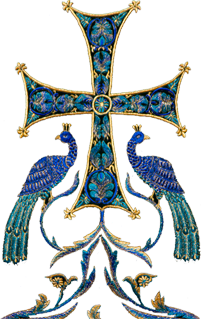 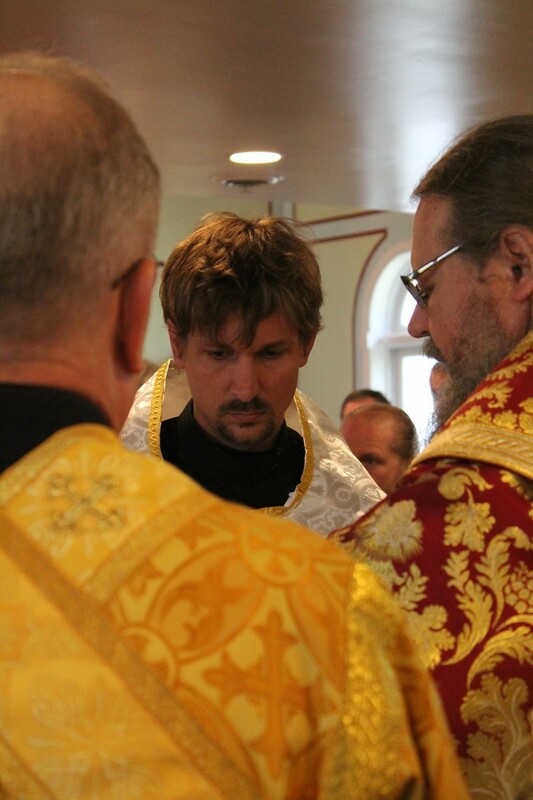 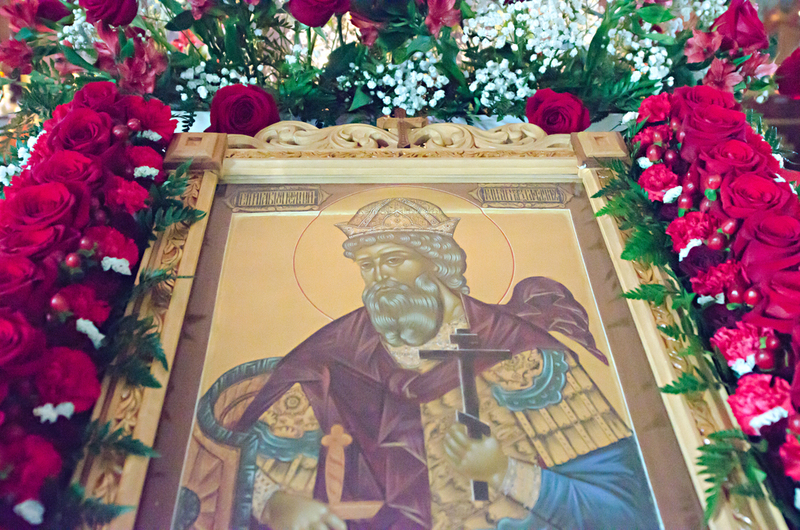 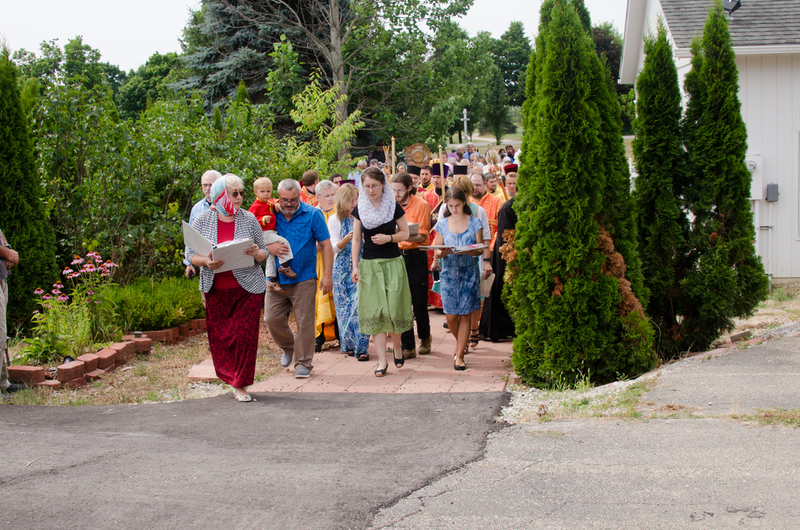 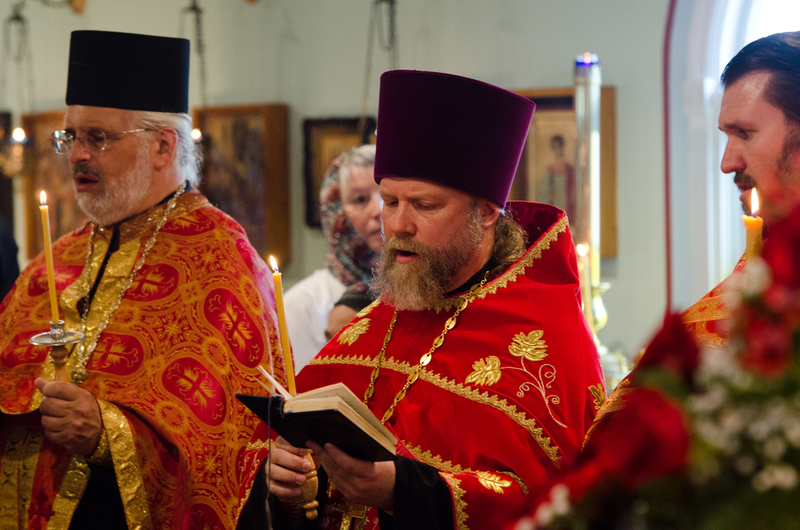 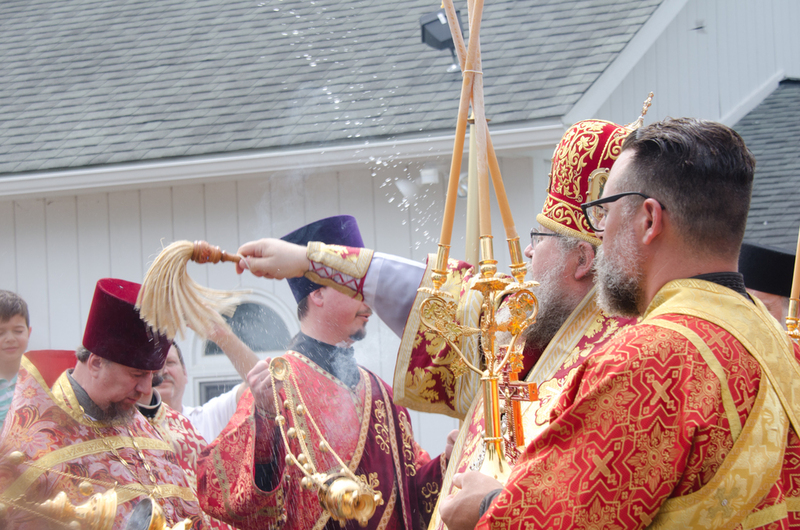 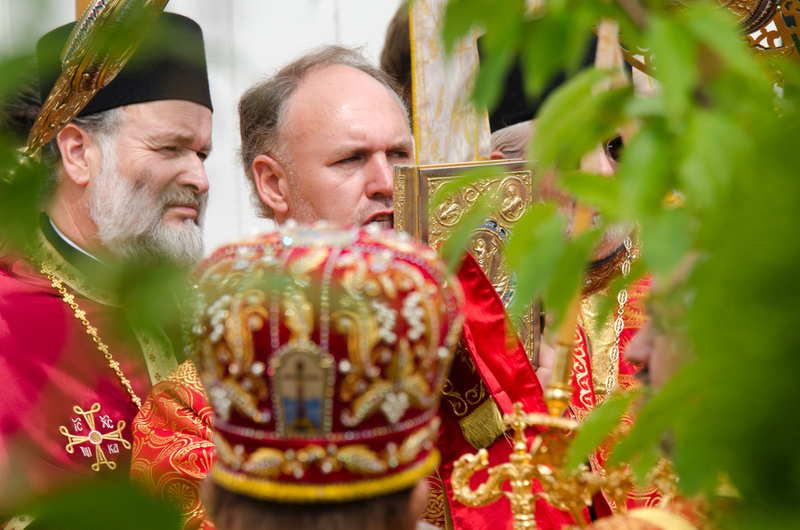 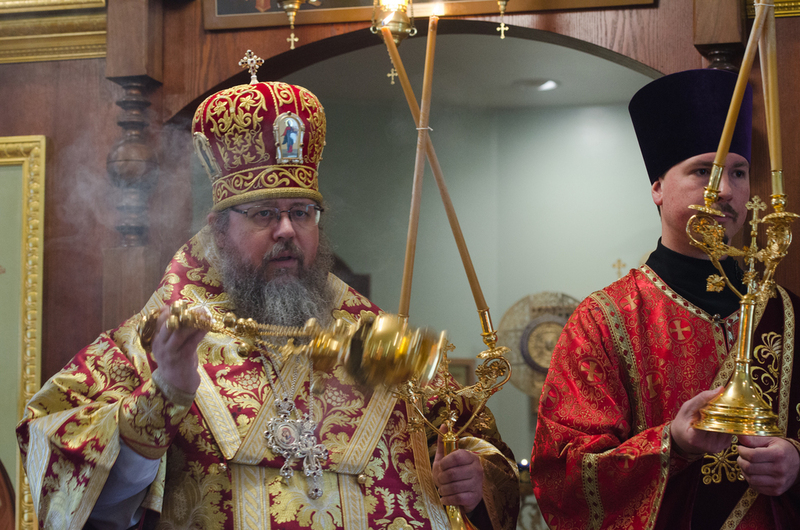 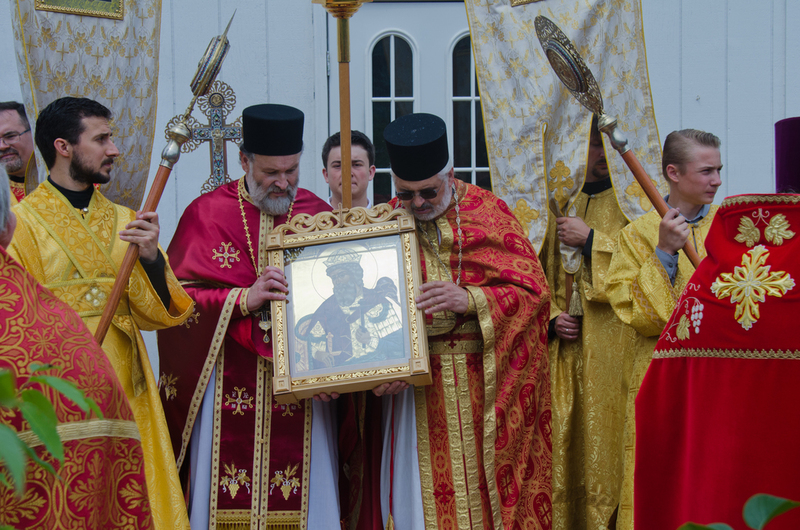 The parish sincerely thanks all those who made this celebration possible, and asks the prayers of all for the success of the parish in their mission of spreading the Orthodox faith to all those in the region it serves. 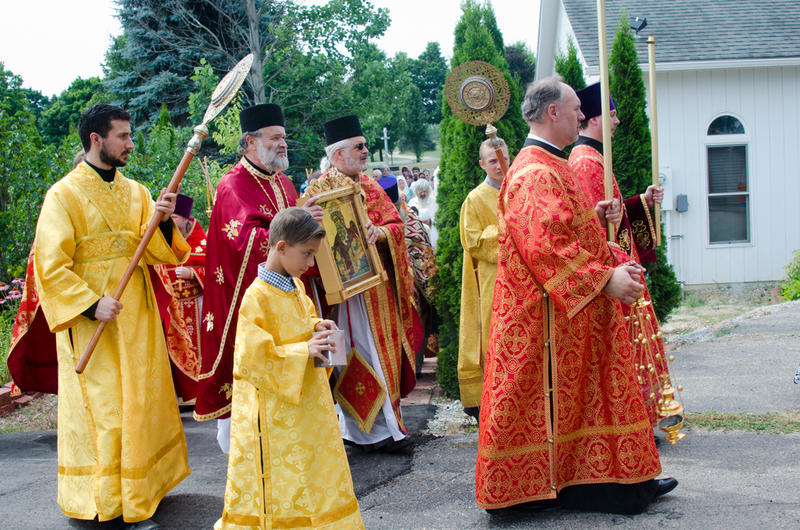 In addition, the parish invites all to its annual Russian Festival, this year to be held on September 17 & 18 on the parish grounds.